Selling a scrap car is really difficult in today’s time. People have enough medium to bring home a brand new car. So, finding someone to deal with scrap cars is really a daunting task. The only option left for the scrap car owner in the end is to dump their car in a junkyard. If you choose this path then make sure to get the price of a scrap in exchange for your car. But, such thing will not happen to the people anymore. 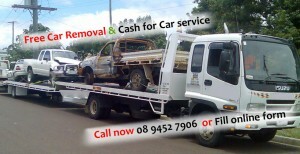 Various cash for cars companies are providing services that allow people to sell their scrap cars too. So, now you can get paid for the scrap car lying dead in your lawn or garage. Before you contact any such company, it will be better to make sure you choose the one that pays the highest amount. Here are some of the things that you should make sure before contacting any car removal or cash for Cars Company. Ensuring these things will enable you to get the optimum value for your car. If the ownership of the car you are planning to sell is not in your name then the possibility of losing some value increases. So, make the person physically attain the dealing procedure. If it is not possible to get the person, change the ownership of the car to your name. It may take some time and effort, but you will get very good value in return. It is possible that the technicians that will come from the company may try to deceive you regarding the price of your car. So, it will be better to get your scrap car inspected through a professional beforehand to get a better idea about the current market value and the rate of your car. It will help you to bargain and deal hand to hand with the company’s technicians. This will help you to get paid with the best amount for your scrap car. You may not know but there are many companies that provide free removal service along with other services like car wrecking, cash for cars, etc. So, the age old conception of delivering the car yourself to the junkyard is not necessary for today’s time. So, it will be better if you deal with a company that provides free removal service. It will help you to earn more in exchange for your car.